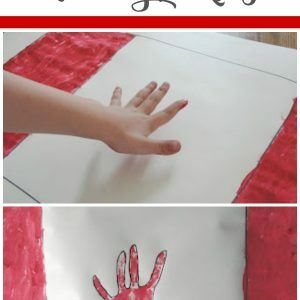 We are approaching Canada Day. 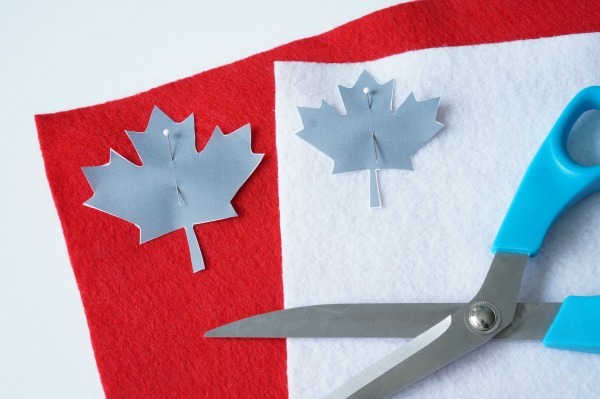 Most of the time Canadians can be quite reserved when it comes to showing our patriotic side. However, when Canada Day arrives we are more than happy to share our love for our incredible country. 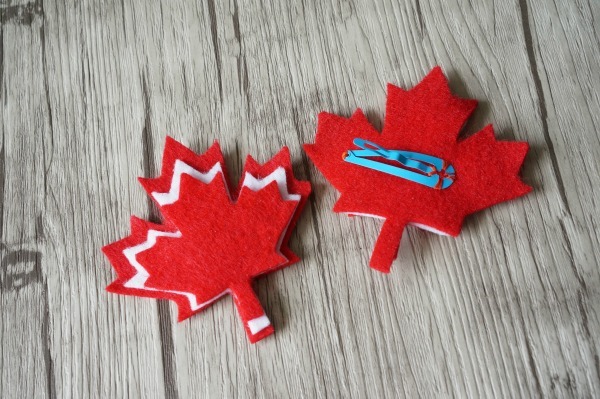 To show our pride, this year I decided to take inspiration from some of our past hair clip projects and make these adorable maple leaf Canada Day hair clips for the kids. 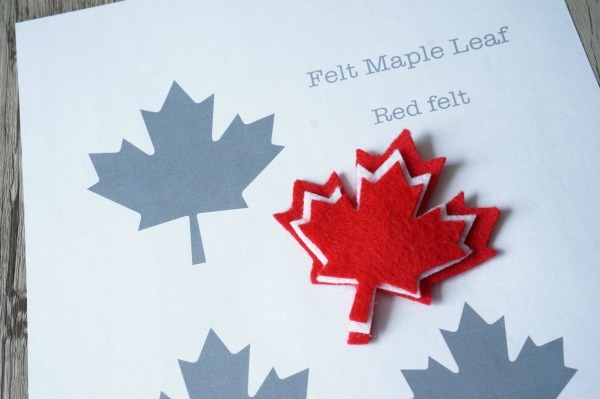 Begin by printing off the free printable felt maple leaf template. 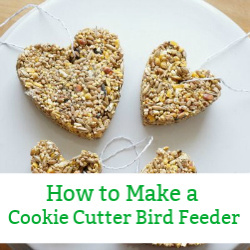 Cut out the three maple leaves. 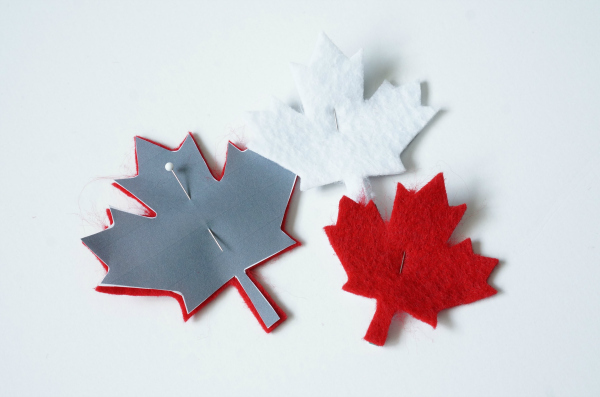 Pin the leaves onto the felt and cut them out. 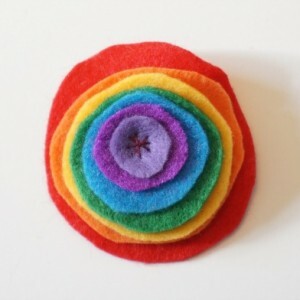 The large and smallest leaf are to be cut from the red felt. The white felt is for the medium sized leaf. 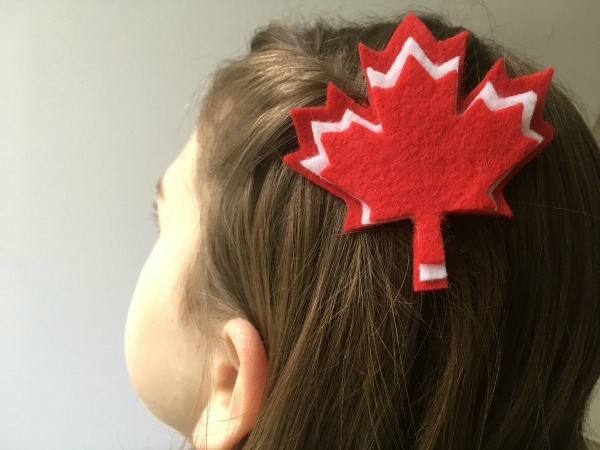 Now, it’s time to sew the hair clip onto the largest red leaf. 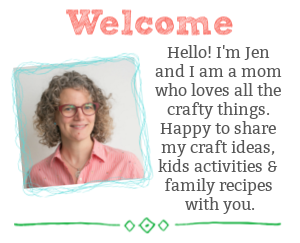 Depending on the hair clip you have, you will find the best way to secure the clip in place. Use the fabric glue to adhere the white leaf on top of the large leaf. Follow by gluing the small red leaf to the medium leaf. They will stack easily on top of each other. 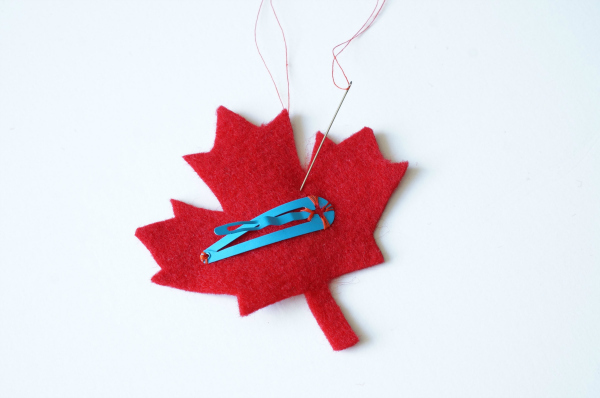 Let the glue dry and have fun wearing your Canada maple leaf proudly. 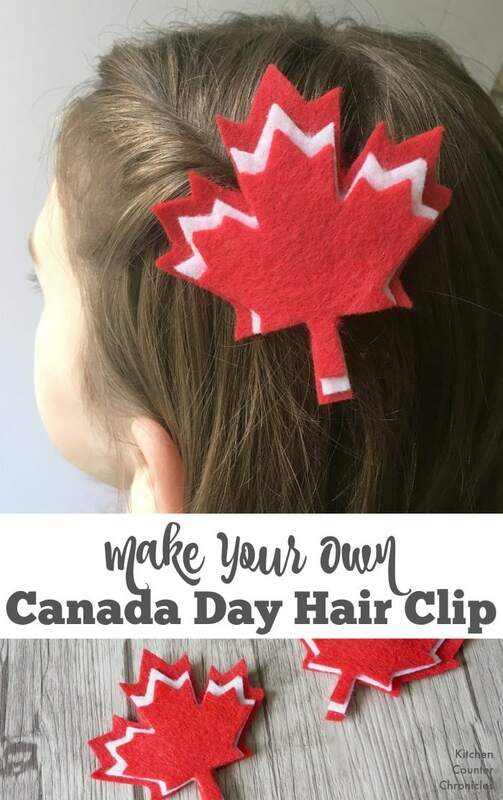 How cute are these super cool hair clips. 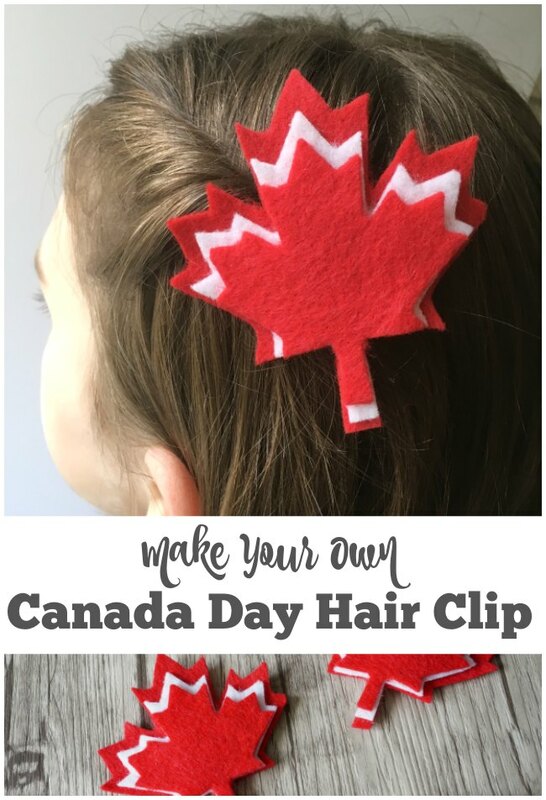 Perfect for Canada Day or any day of the week. 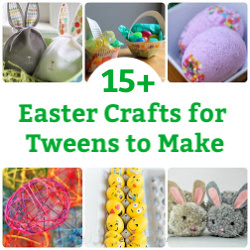 Clip them onto your shirt, in your hair or onto a chain and wear them as a necklace. So many way to show your love for our beautiful country.